This calcioni recipe is a Marche speciality. 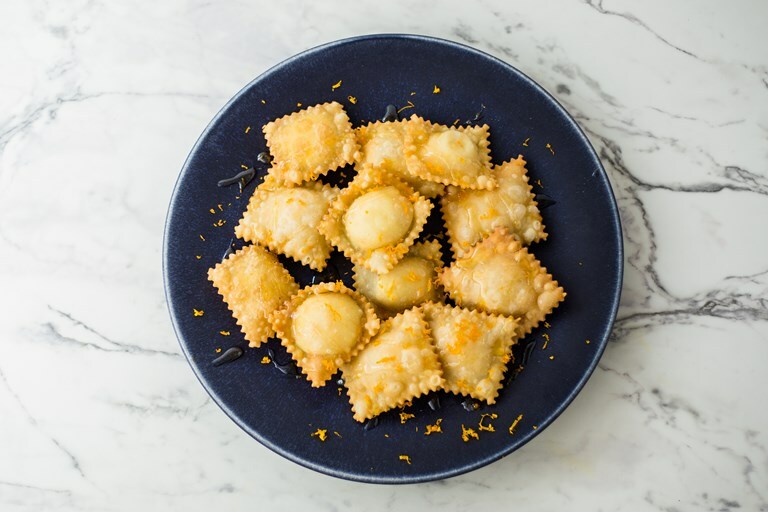 Although they look like ravioli, calcioni are actually filled pastry parcels, which are then deep-fried. This version contains ricotta, and is served drizzled in honey and sprinkled with orange zest.